The Super Bowl is the pinnacle of the football season, yet only slightly more than half of viewers will be tuned in for the action on the field, according to a recent report from Lightspeed Research, a unit of WPP’s Kantar. Based on these results, nearly half of Super Bowl viewers will be watching for the commercials, the half-time show or just for the fun of it. The report surveyed 2,000 online respondents in January, and Brandweek recently detailed the surprising findings. According to this revealing report, 15% of respondents will watch the game mainly for the commercials, with one in five of the women surveyed watching solely for the ads. Brands spend millions to create Super Bowl ads, with some brands more well-known for creating memorable ads than others. This year, 29% of viewers are most eagerly awaiting ads from Anheuser-Busch, yet only 8% look forward to ads from Coca-Cola, 7% await Pepsi commercials, and 5% are watching for ads from GoDaddy.com and Doritos. The report also showed that 27% of respondents will watch primarily to socialize with family and friends, and fewer than half of 18-34 year olds will watch Super Bowl primarily for the football. This year’s Super Bowl will also see a rise in new technologies that can connect viewers to the game like never before. 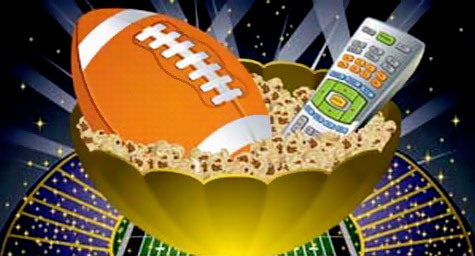 Almost 60% of smartphone users expect to send emails or texts about the Super Bowl, with 18% watching ads on their phone and that same number visiting the web sites of advertisers. Women are more likely than men to be using their smartphine during the game, with nearly half of women posting game updates via social network while men are more likely to be watching game stats and news. The Super Bowl is scheduled for Sunday, February 6, 2011, and there will certainly be plenty worth watching. MDG Advertising, a full-service Florida advertising agency, with offices in Boca Raton and New York, NY, specializes in developing targeted, Internet marketing solutions, exceptional creative advertising executions and solid branding and social media strategies that give clients a competitive advantage. To view all MDG corporate identity projects, collateral design, signage, TV and Web design, click here.